At the CES 2014 conference, NVIDIA announced their next generation Tegra K1 SOC for mobility devices which will power a new era of tablets and smartphones. The NVIDIA Tegra K1 SOC codenamed Logan is the first processor to feature the Kepler core architecture alongside 64-bit ARM based Denver CPU offering incredible graphics performance with superb power efficiency. 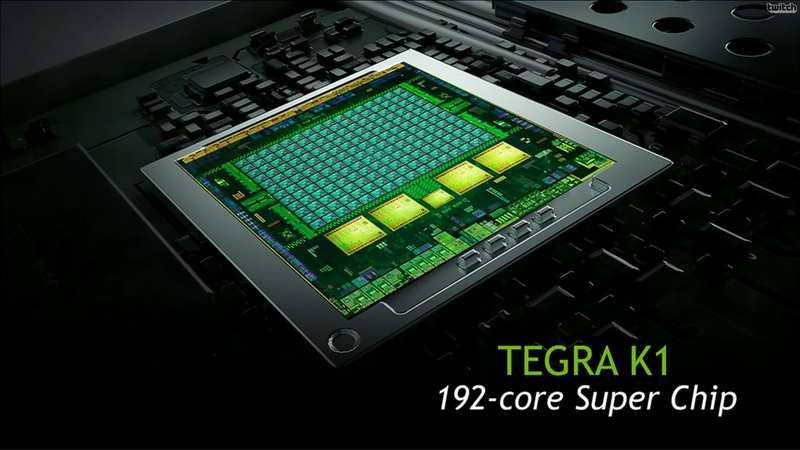 The NVIDIA Tegra K1 features a heart built out of the Kepler architecture which has spanned two years inside desktop computers, notebooks and the world’s fastest TITAN supercomputer. 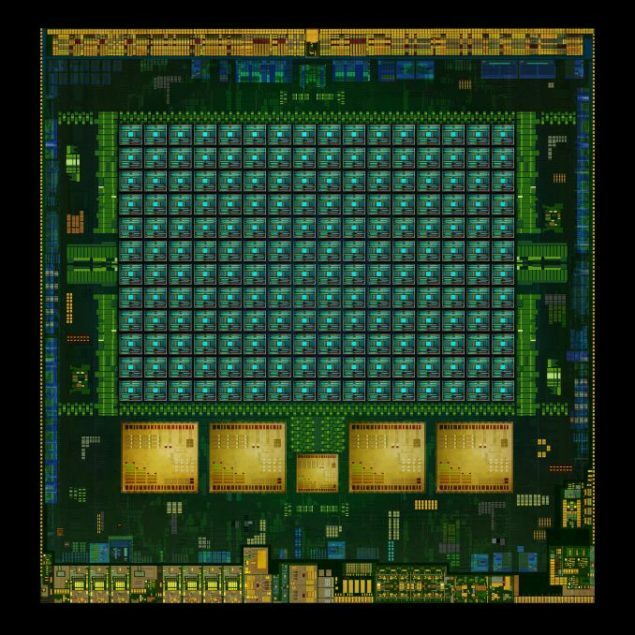 Featuring upto 192 Kepler cores, the Tegra K1 is indeed a next generation mobile super chip aimed towards high-performance mobile devices. NVIDIA has also announced their highly anticipated Denver CPU which utilizes specialized 64-bit ARM Cores which would be fused alongside the GPU die. The Tegra K1 chip would be available in two variants, the dual core variant with Denver CPU and 7 Way superscalar compute will feature the 64-bit ARM v8 cores and 192 Kepler cores with clock frequency of 2.5 GHz while the 32-bit Quad core ARM variant will be clocked at 2.3 GHz. The 64-bit Denver model comes with 128KB + 64KB while the 32-bit variant comes with 328KB + 32KB L1 Cache. 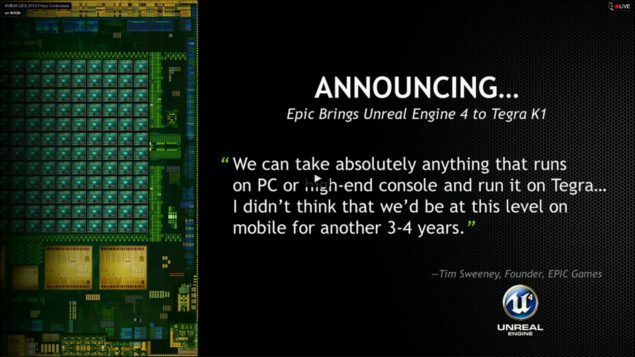 NVIDIA’s gaming partner EPIC Games have announced that Tegra K1 would be the first chip to support their next generation Unreal Engine 4 which we have already seen how stunning it looks in the elemental and infiltrator demo. NVIDIA has already demonstrated Battlefield 3 running on their Tegra 5 prototype devices so its no doubt that the upcoming Tegra K1 based devices which may feature on of those cores may end up being on par with current gen of consoles. The SOC was also shown running NVIDIA’s Ira demo which renders a realistic human face with accurate expressions and high-resolution textures. At the event, the demo was running super smooth as it was during the render demo with NVIDIA GeForce GTX Titan. 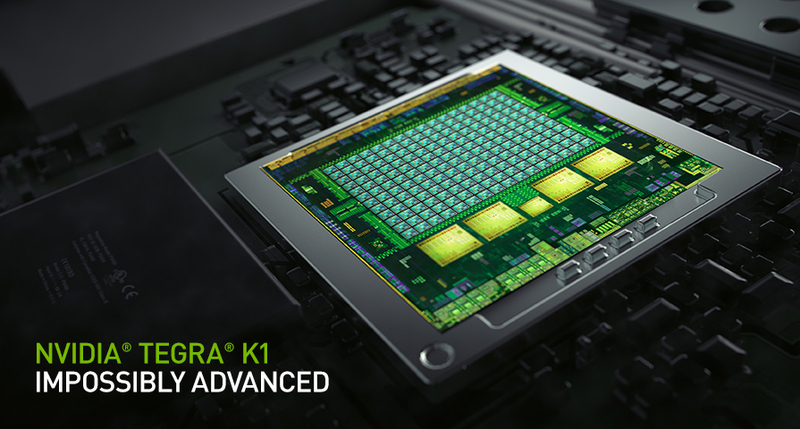 Press release – NVIDIA today unveiled the revolutionary Tegra® K1 mobile processor, a 192-core super chip featuring the same NVIDIA® Kepler™ architecture that powers the fastest GPU on the planet, the NVIDIA GeForce® GTX™ 780 Ti. For the first time, next-generation PC gaming will now be available on mobile platforms. Kepler — first introduced in desktop and notebook systems, and later brought to workstations and supercomputers — is the world’s fastest and most energy-efficient GPU architecture. Tens of millions of Kepler-based graphics cards and systems have been shipped, including theGeForce GTX 780 Ti. 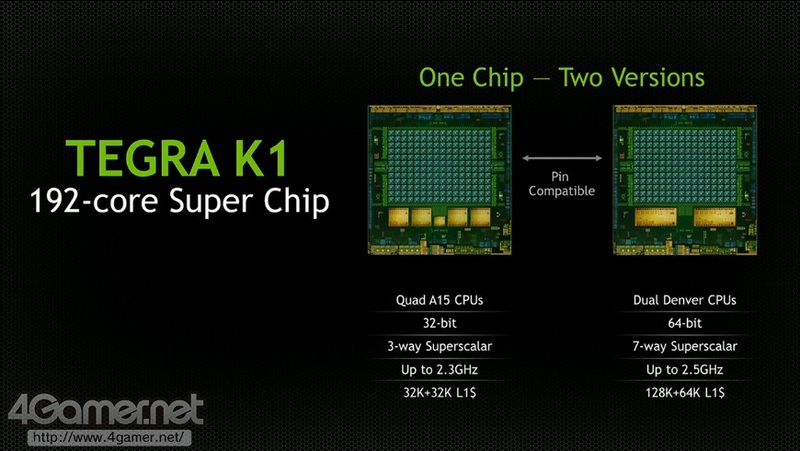 More details about the Tegra K1 are available at www.nvidia.com/object/tegra-k1-processor.html.